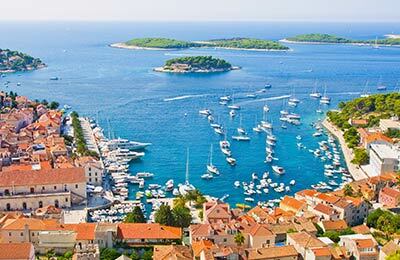 Porec Ferry Port is located on the Istrian Peninsula in Croatia. Porec ferry port is situated on a harbour that is naturally protected from the sea by the island Sveti Nikola (Saint Nicholas). You can compare ompare and find the cheapest ferry crossings available from Porec with our easy to use booking form. The ferry company that operates out of Porec is Venezia Lines. The Porec to Venice ferry route is only available in the summer and when it is available AFerry shows the latest Porec ferry timetables, journey times as well as our latest and best prices. Venezia Lines is a major ferry company that operates between Italy and Croatia and between Italy and Albania. Venezia Lines has a fleet of three high speed catamarans with the latest air cushion technology. These crafts are incredibly fast but also stable which means journeys are comfortbale and relaxing. Porec has basic port facilities. Please note that ferries from Porec are only able to take foot passengers. 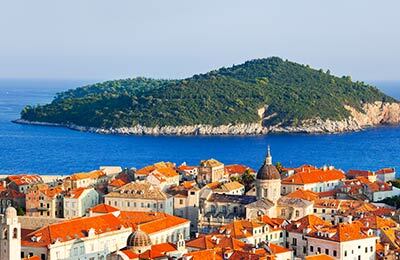 There are about four buses per day to Porec from Zagreb, which is Croatia's capital city. Porec is home to a 6th Century basilica. The city itself is almost 2,000 years old and has been important for many successive empires from the Romans on.